Ahead of the European parliament vote tomorrow on reforming copyright, young and emerging musicians have recorded "Just Say Yes” to get their message across about a fair future online. The aptly named song was originally released by Snow Patrol. These artists call on the European parliament to just say yes to copyright at the vote tomorrow. Various artists contributed, such as Mystery Jets, the Maccebees, Shangai (Noisettes), Paradisia, Beth Lowen (Lion), Fiona Bevan, Tawiah, Billy Lockett, Tom Hewson, Newton Faulkner, Ant Whiting, Steph Marziano, Emily Phillips, as well as Ian Archer (sometime Snow Patrol member). When Jean-Michel Jarre heard about it, he sent over some synth. The recording was made in a day. There is video of the making of the song including a story explaining why the artists believe copyright is important. There is also a remix. In just three days, over a thousand artists signed the #manifesto4copyrightlaunched by parliamentarian Helga Truepel last week, along with a hundred parliamentarians who signed up without threats of their opinion being used against them in the upcoming elections*. In France over the weekend, over 170 artists raised their heads above the parapet in high profile feature in newspaper Le Journal du Dimanche. This is an important notice concerning YOUR REPUTATION on the World Wide Web between next week and the 2019 European elections and even for many MORE years! We are OPEN INTERNET and TRANSPARENCY activists. We want voters to know what you (our elected representatives) do and especially how you VOTE. We haven´t contributed to Wikipedia yet but after the copyright vote next week we will insert into EVERY MEP´s Wikipedia page how YOU voted on the copyright directive: for or against the directive, for or against upload filters. Abstentions won´t be mentioned but yes or no votes will. We believe in ACCURACY. We don´t smear. We don´t lie. We don´t politicise an encyclopedia because everybody can edit Wikipedia and others would delete anything that´s against the rules. 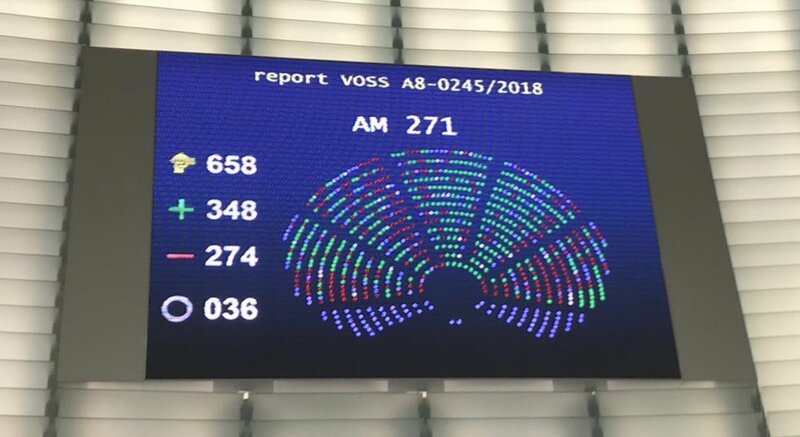 We´ll just tell the world how YOU voted and we´ll do it 100% factually: yes to directive, no to directive, yes to upload filters, no to upload filters. You´re a politician. You know how your voters feel about the directive and about #Article13. You know what they expect. You know that the people who read Wikipedia are the people who make their vote in the European elections dependent on the copyright vote. You decide. You do whatever you want. WE will just see to it that anyone searching for you on Google will find out immediately if you vote for or against the freedom of the World Wide Web. They will find out when they make up their minds on 23-26 May; they will find out later in your career, whatever you do and wherever you go. We are already preparing for this transparency campaign by asking people on Facebook for translations of our text snippets to all European languages. P.S. Again we have nothing to do with Wikipedia but everyone can go there and make edits. Which we WILL.